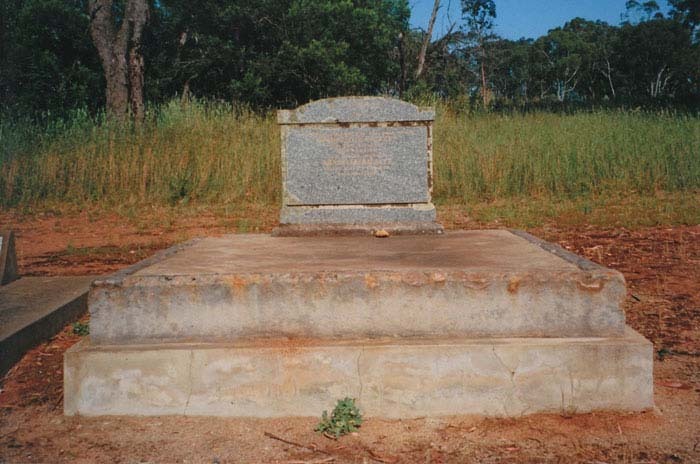 Jeremiah Sackett with his children, (top) Rev. 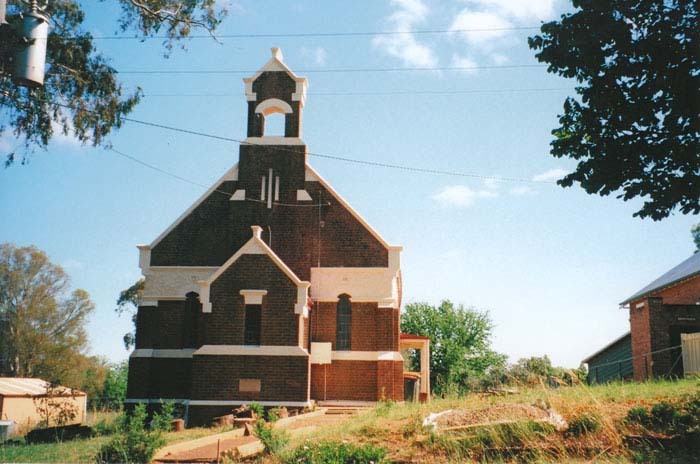 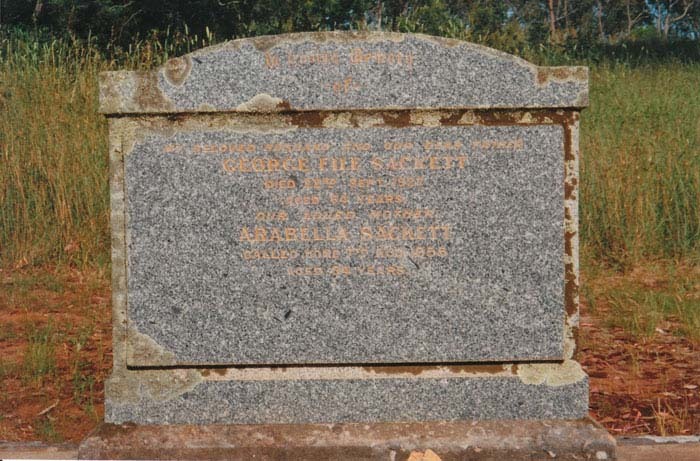 Alfred Barrett, George File, Rev. 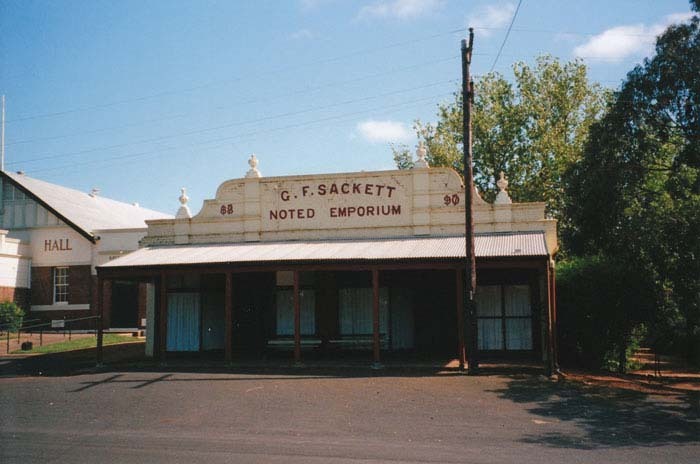 Walter, (centre) Susie (Susannah), Daisy (Sarah Ann), (bottom) Leonard, Rev Frank Colyer. 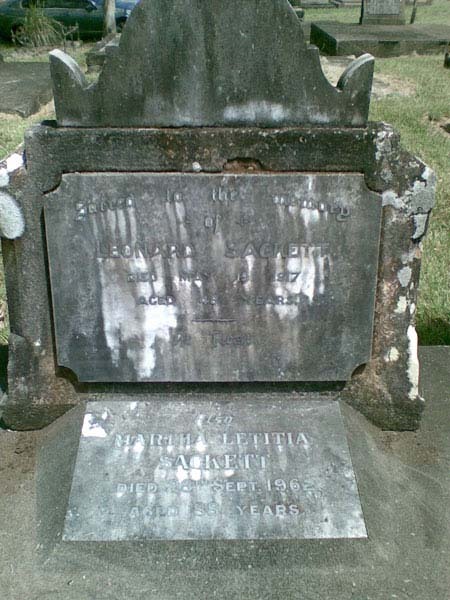 East Lismore Cemetery, New South Wales, "Sacred to the memory of Leonard Sackett / died May 19, 1917 / aged 48 years / At Rest / Also Martha Letitia Sackett / died 28th Sept 1962 / aged 88 years." 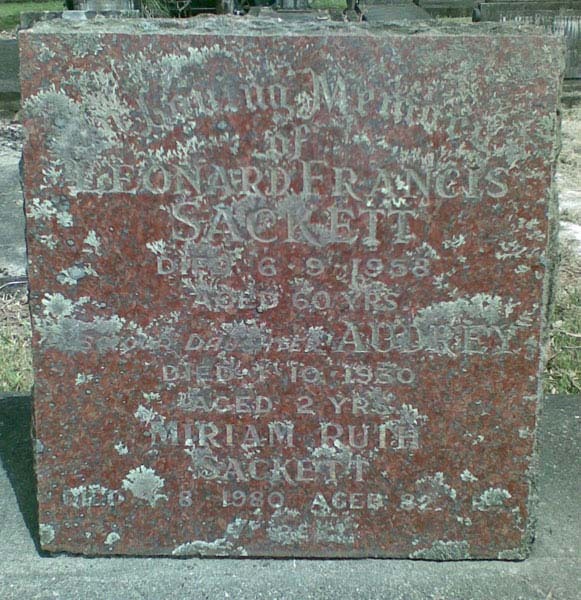 East Lismore Cemetery, New South Wales, "In Loving Memory of Leonard Francis Sackett / died 6-9-1958 aged 60 years / also our daughter Audrey / died 1-10-1930 aged 2 yrs / Miriam Ruth Sackett died ?-8-1980 aged 82"